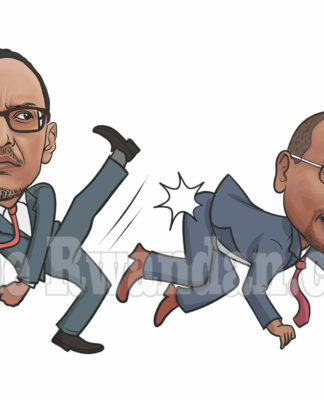 Home News Great lakes Will ever some Congolese stop being enablers of Kagame and Museveni? Or are they so blind they cannot see that they are being used by Kagame and Museveni for the only political survival of the latter and the plundering of Congolese mineral resources? While the international community, i.e. 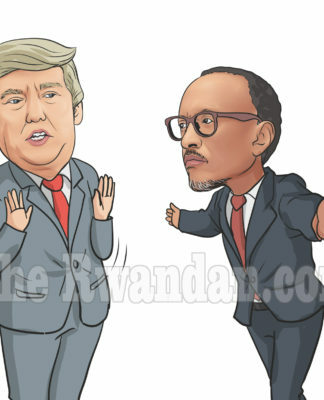 US and UK plus their western allies are seriously considering changing their attitude towards the Rwandan president Paul Kagame because of his involvement with the destabilisation of DRC, there are surprising and worrying developments in Eastern Congo. Instead of stopping Rwandan involvement in M23 military rebellion which is being rebranded UPCP, a flow of more troops and equipments has been carried on not only by Rwanda, but also Uganda to support the rebels. A troubling development for the Democratic Republic of Congo is that some political and military groupings including the unlucky presidential candidate Etienne Tshisekedi and the dissident General Munene who is currently exiled in Congo Brazzaville appear to join in, despite their usual sense of patriotism. From an outsider perspective, it is difficult to understand how a rebel movement M23, which is backed by Rwanda for its own interests in Eastern Congo and which so far have been detrimental to Congolese people, could receive the backing of Congolese supposedly patriots. There is also the fact that this is another war for a country which for the last two decades has not benefitted from any real period of total peace. I don’t know if these Congolese politicians or military joining M23 or UPCP as they have now renamed it, have in their mind the suffering that continued instability of their country has caused to their populations. Patriotically speaking, the rebellion which has started in Eastern Congo isn’t about Joseph Kabila in Kinshasa. The latter may not be the ideal leader that the Democratic Republic of Congo deserves. But if Congolese themselves, particularly leaders – politicians and military, opposed to the president, don’t consider the rebellion which started a few months ago in the East of their country as a new invasion of their country, there is a fundamental problem that should be addressed by true sons and daughters of the country of Patrice Lumumba. Kagame and Museveni are war-mongers. They don’t care about how many human casualties their military ventures cause. It is one of their many ways of sustaining their dictatorial and oppressive regimes in Rwanda and Uganda. 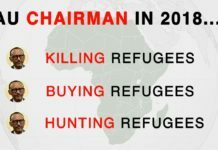 As Rwandans and Ugandans who oppose their governments have understood, using military means only to make change happen, only adds to the suffering of the population. They have chosen to be actively and pro-actively non-violent in fighting against these dictators. And they are making some tangible progress. It is overdue for Congolese who oppose Joseph Kabila to understand that becoming Kagame and Museveni stooges by associating themselves with M23 can only be damageable to the interests of their populations and play at the advantage of these dictators.